This week I am writing about a small book in Exeter’s special collection known as the Statutes of the Stannary or the Tinners’ Charter. 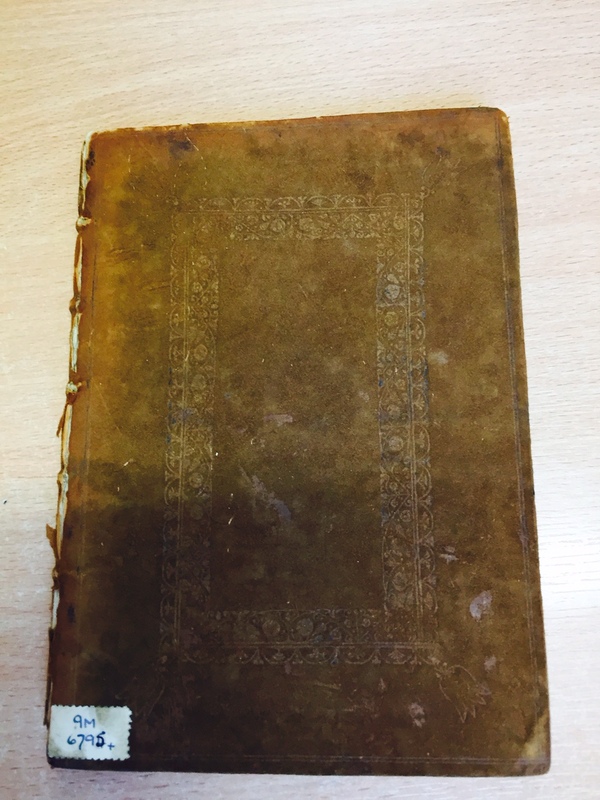 It is a small book but an important one because, as far as is known, the copy in Exeter College Library is the only one still in existence. It is a collection of legal documents regulating the Devonshire tin mining industry in the sixteenth century, comprising statutes for the years 1510, 1532 and 1533 together with a copy of the charter issued by King Edward I in 1305. The Devon miners held regular legislative assemblies called Great Courts or Parliaments, huge open-air meetings held at a desolate spot on Dartmoor, Crocken Tor. Thirteen Great Courts were held between 1474 and 1786. It must have been quite a sight to see the miners gathering at the Tor in such large numbers (there were always at least 96 men elected to attend, as well as representatives of the Crown and many spectators). The book begins with the words ‘Here foloyth the confirmation of the Charter perteynynge to all the tynners wythyn the countey of devonshyre with there statutes also made at crockeryntorre by the hole assent and consent of al the sayd tynners yn the yere of the reygne of our soverayne Lord Kynge Henry ye viii the second yere . 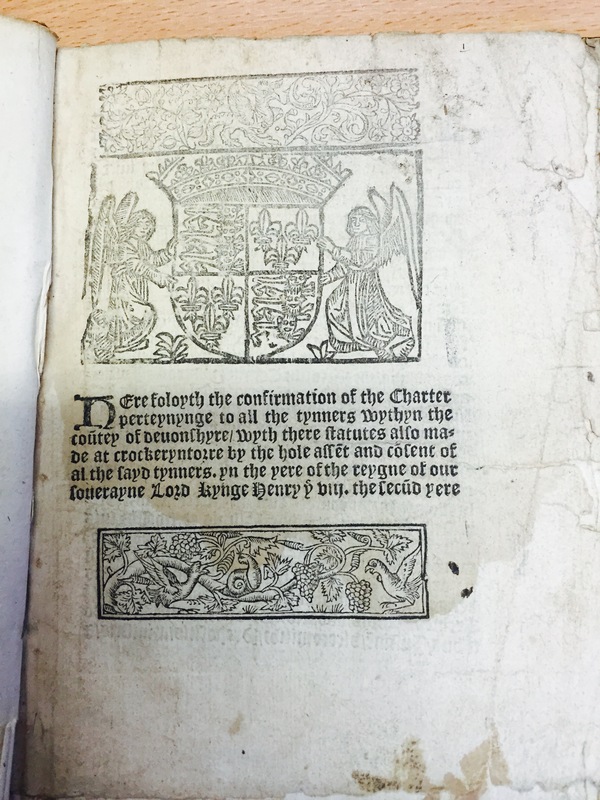 It was printed at the new printing press at Tavistock Abbey in 1533. 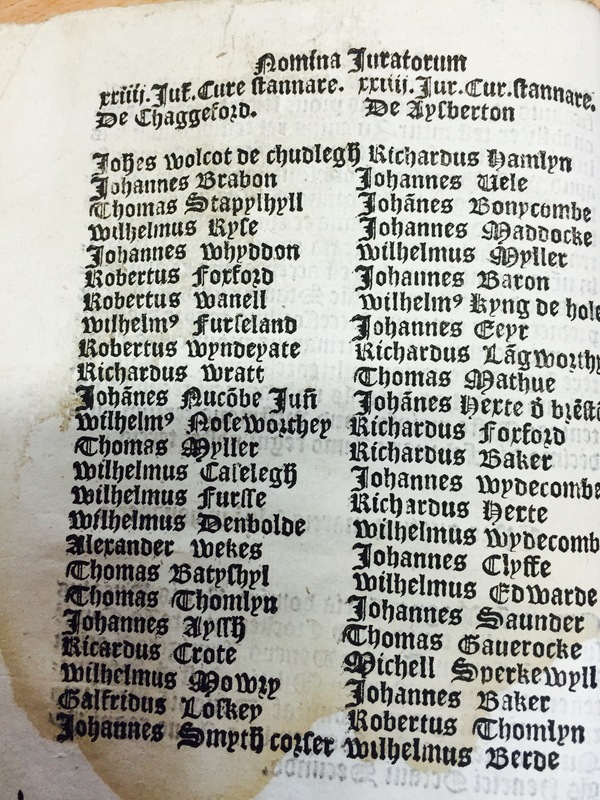 The members of the Great Courts are all listed, a fine roll of Devon names representing the four stannary courts at Chagford, Ashburton, Tavistock and Plympton. The statutes reveal a highly organised industry, with the rights and responsibilities of tinners well documented. Those who transgressed the statues were punished at the stannary courts with fines and even imprisonment. Exeter’s book was left to the College in 1774 in the will of Joseph Sanford a fellow commoner of Exeter. 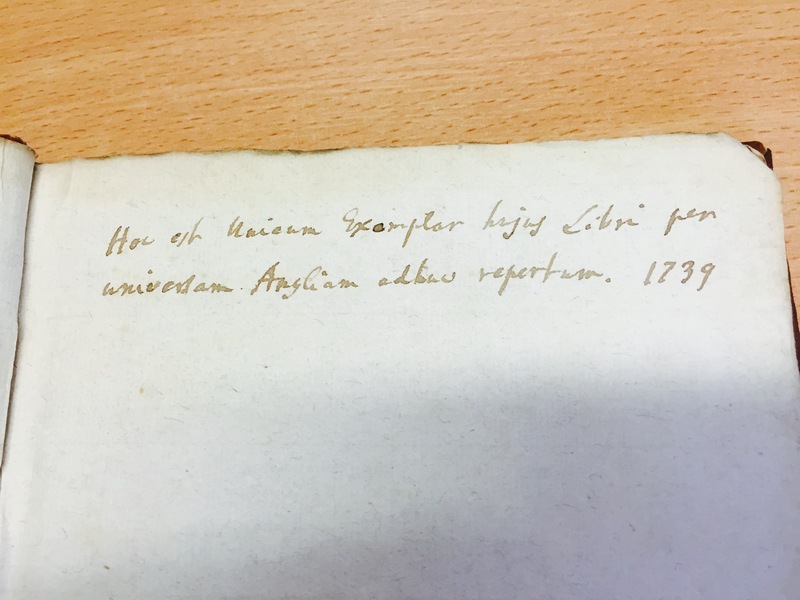 In 1739, someone (possibly Sanford) wrote on the flyleaf in Latin ‘This is the only example of this book yet discovered in England’. See also The Great Courts of Devon Tinners 1510 and 1710 by Tom Greeves and Phil Newman. Dartmoor Tinworking Research Group, 2011.